Last But Not Least … What would Valentine’s Day be without a little chocolate? 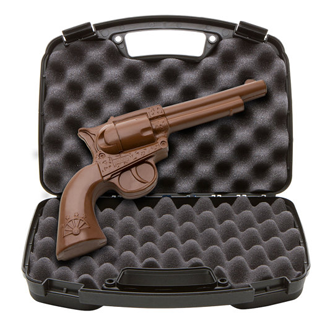 This chocolate revolver is made of solid milk chocolate, making it just under a pound of pure deliciousness. It even gets shipped in a real, padded gun case!